Questions from the the Readings, simple questions based on the material in the Companion. Globe Fun, which guides parents and teachers through the week's geography lesson. 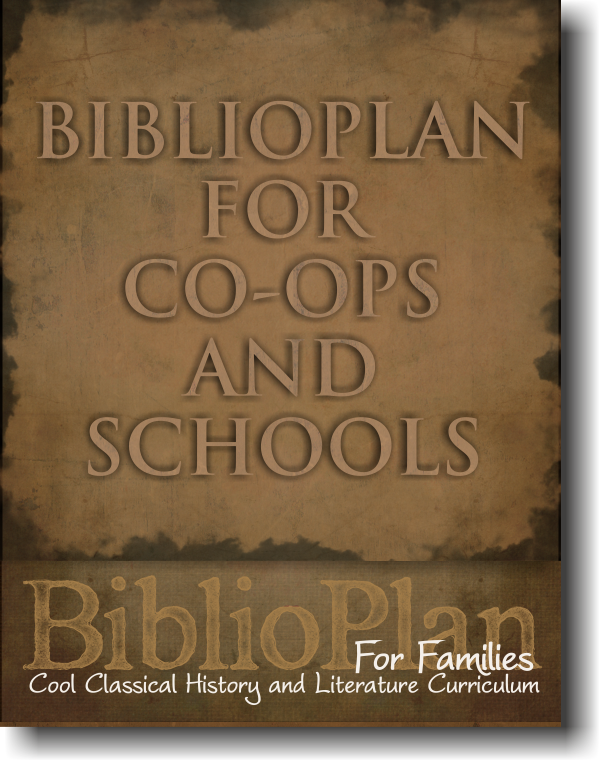 These books are designed primarily for teachers and home schooling parents. 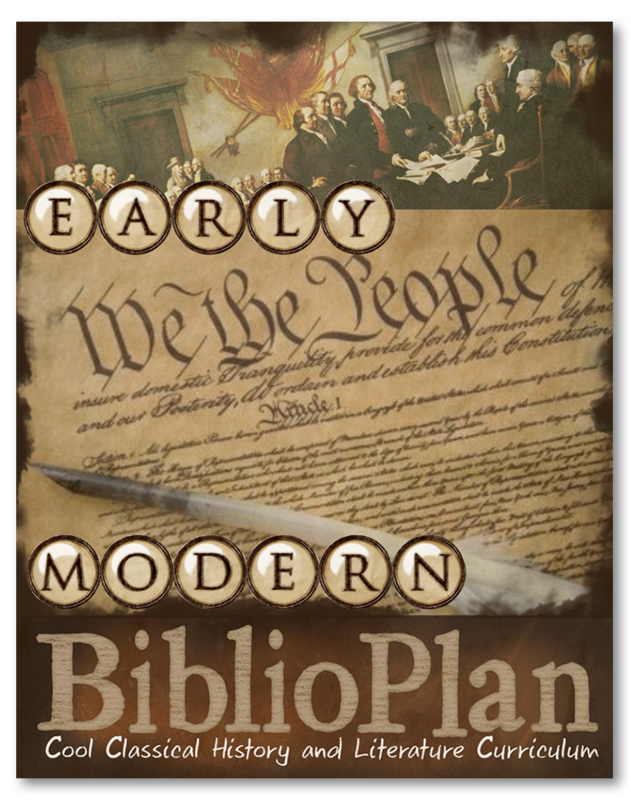 Students this young, in grades K - 2, generally do not need their own individual copies of Cool History for Littles. 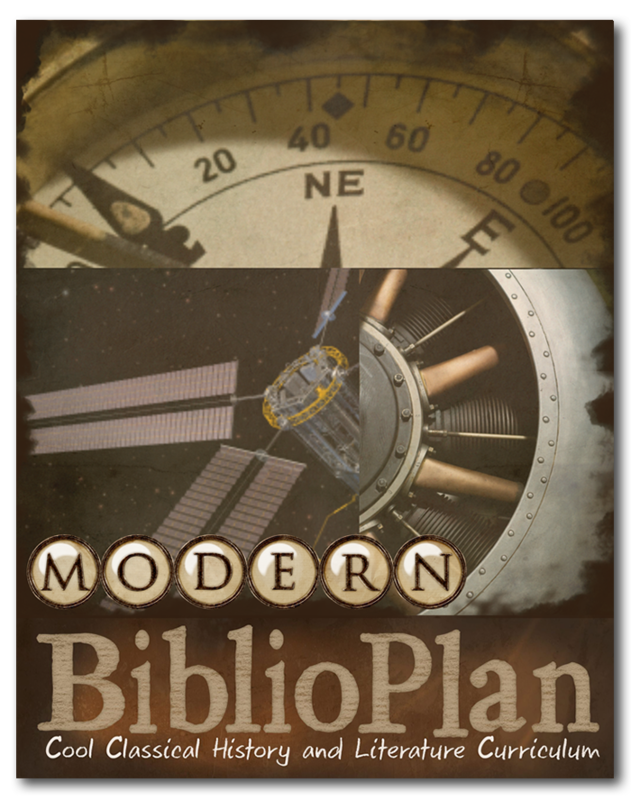 BiblioPlan publishes one Cool History for Middles for each year of study, containing one or two assignment pages per week. All questions and activities are based on the material in the Companion/Remember the Days— except for one Optional Bonus Question/Activity, which calls for outside research. 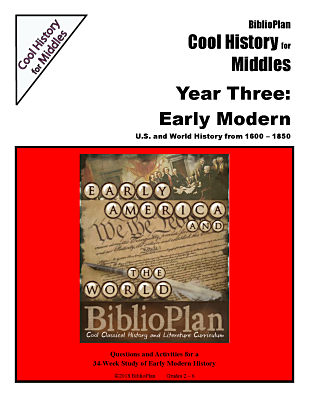 Each student should have his or her own copy of Cool History for Middles. Upper Middles offers more thought-provoking, open-ended questions to promote synthesis and comparison skills. The Cool History for Upper Middles book includes one exam for each unit of study (usually 5 - 6 weeks). Each student should have his or her own copy of Cool History for Upper Middles. 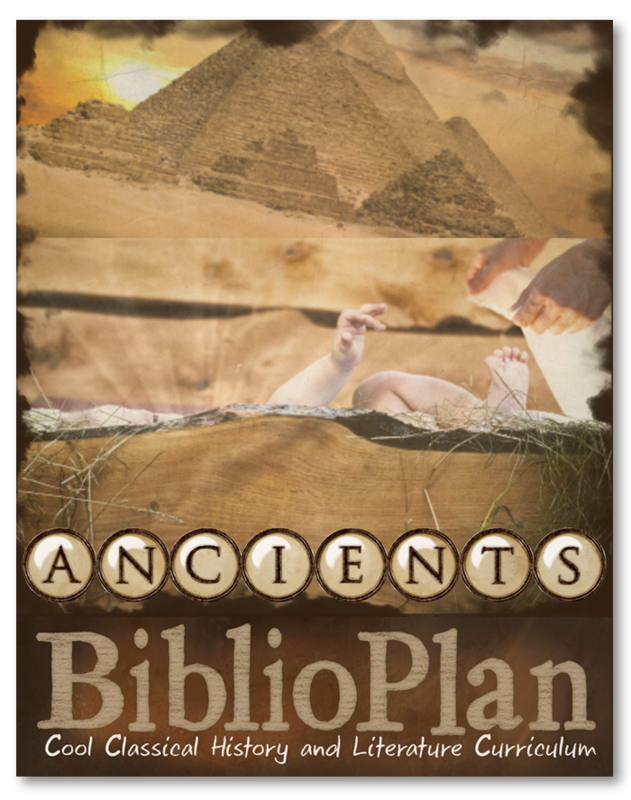 BP publishes one Cool History for Advanced for each year of study, containing two assignment pages per week. Each assignment consists of four sections: Fill in the Blank, Short Answer, Short Essay and an optional Research Essay. Except for this last, all questions come from the material in the Companion. 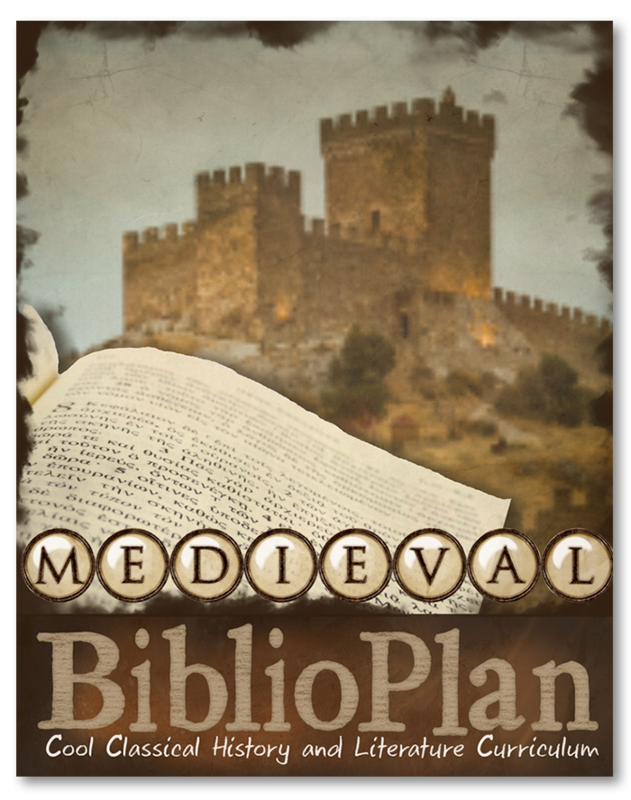 The Cool History for Advanced book also includes one exam for each unit of study (usually 5 - 6 weeks). Each student should have his or her own copy of Cool History for Advanced. Before BP wrote its own textbooks, it offered original questions for families who were studying Susan Wise Bauer's Story of the World books. For families who still want those old-style questions, BP now offers Cool History Classic-- assignment sheets with questions based, not on the Companion, but on the Story of the World. Why should you buy Cool Histories? Because children learn by doing as well as by seeing, hearing and reading. Cool Histories provide you with weekly history assignments that encourage your students to read or listen more carefully so that they can find the answers to their questions in the text. Because weekly assignments provide you with a way to check on your students' progress, evaluate their comprehension, and hold them accountable for getting their schoolwork done.